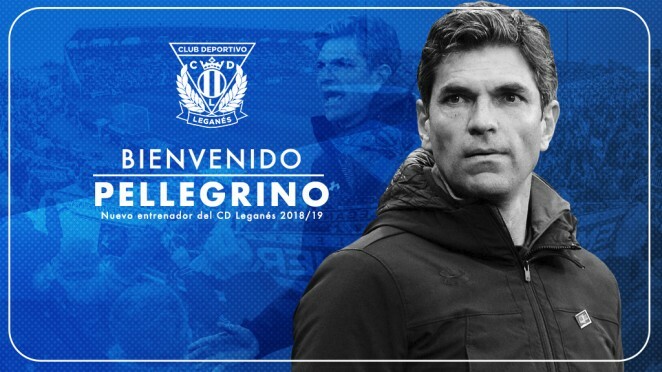 Club Deportivo Leganés and Mauricio Pellegrino have reached an agreement for the Argentine coach to lead the club the next season. The technician has signed his contract on Friday morning that links him to the club until June 30, 2018. Mauricio Pellegrino was born on October 5, 1971 in Córdoba, Argentina. The new pepinero manager occupied, in his period as football player, the centerback position, beginning his professional career in Velez Sarsfield. In 1999 he made the leap to Europe and competed in teams such as the F.C. Barcelona, ​​Valencia, Liverpool and Alavés where he retired in the 2005/2006 season. He won three league titles, one with the F.C. Barcelona and two with Valencia C.F. As coach Mauricio Pellegrino worked from 2006 to 2008 in the Valencia CF youth teams. Afterwards, he went to Liverpool where he became Rafa Benitez’s assistant. His career as first team manager would also begin in Valencia, in the 2012/13 season. Then he travelled to Argentina where he took charge of Estudiantes from 2013 to 2015 and Independiente in the 2015/16 season. In recent years Pellegrino has managed Deportivo Alavés, where he led the team to the final of the Copa del Rey in the 2016/17 campaign and his last destination was Southampton. Soon the presentation date of the new cucumber trainer will be announced.